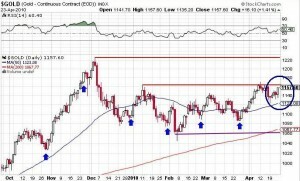 Gold: Explosive Move Higher Very Soon? It would appear that my commentary last week on whether or not to Sell in May and Go Away struck a nerve. It was the most read post this year (except for posts containing the word “Dines”, which always appear at the top of the list; my post on The Dines Letter 2010 Annual Forecast Letter continues to be the most popular post of the last year, with my post on Doug Casey, and Casey Research: A Comparison to The Dines Letter coming in second). My conclusion, you will recall, was that this theory works in some years, and not others. Great. It does appear to alternate years, and 2010 is an “on” year, meaning this may be a year to sell in May and go away. As of today, we continue to wait for a break through the 1,230 level. 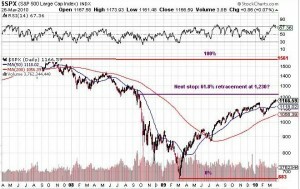 It hasn’t happened, so down continues to be more likely than up. I have attempted to draw, with blue hours, the futures contract expiration dates. I may not have the dates precisely correct, but you get the general idea: to prevent long call option holders from cashing in, the price gets hammered just before expiration, to prevent long gold holders from generating profits. I also put in some resistance lines. It looks to me like $1,060 is strong support. If we break that, look out below. The challenge is to break through the red resistance lines at around $1,140, $1,160, and $1,220. We all know that gold is headed much higher; the only question is “when”? Presumably the gold suppression schemes could last for some time to come, but it is also possible that golds ten year rise will continue. 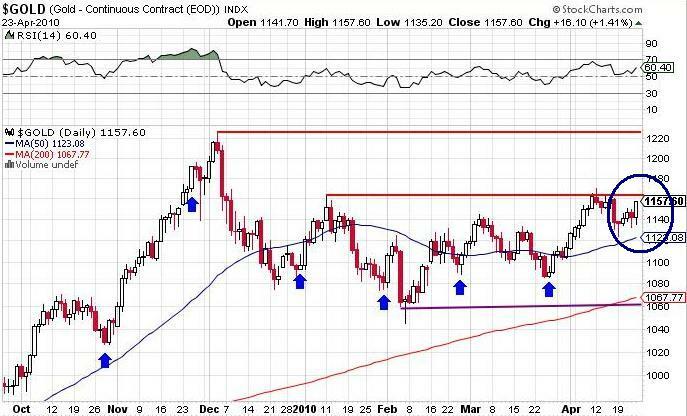 Gold has not come even close to testing the 200 day moving average, and even the 50 day moving average has offered reasonable support. 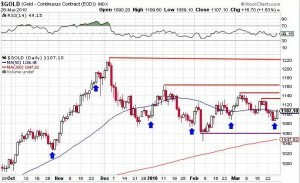 As we sit today, gold is at $1,107, just a hair above the 50 day moving average of $1,106. 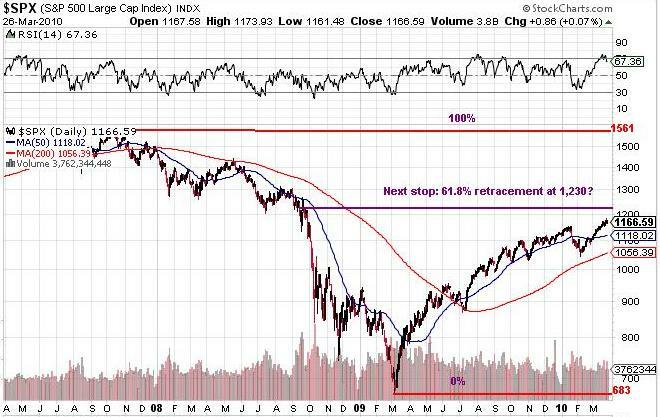 Even better, the RSI is at 49, and whenever we cross over the 50 level to upside good things happen. To sum up: options expiration has passed for another month, we appear to be at a good support level so downside risk is minimized, and the RSI is at a great level for an upward push. So, I conclude that gold will do well over the next period of time. So, this week, I took the opportunity to average down my costs, and I bought more gold shares. What’s interesting to me is that the blue arrows, showing the options expiration dates, for the last few months, have occurred at the bottom of the price cycle, near the low point for the month. And yet now, as we approach the April 27 options expiration (somewhere in the blue circle on the chart) we are near the top of the range for the month, not the bottom. Apparently the big boys have not been able to drive the price down prior to options expiration. It would appear they are running out of gas. The CFTC were given dates/times of the silver/gold market manipulations and years worth of score cards which entailed options expiration of the respected metals. Next week will be the time when May options in Silver expire. It is noted that the call options at $18 strike are the most within the price range of Silver’s current price. The market has stalled here almost all week. Regardless of dollar upward movement, silver has been stuck in this rut all week long. Here is our silver Limbo. 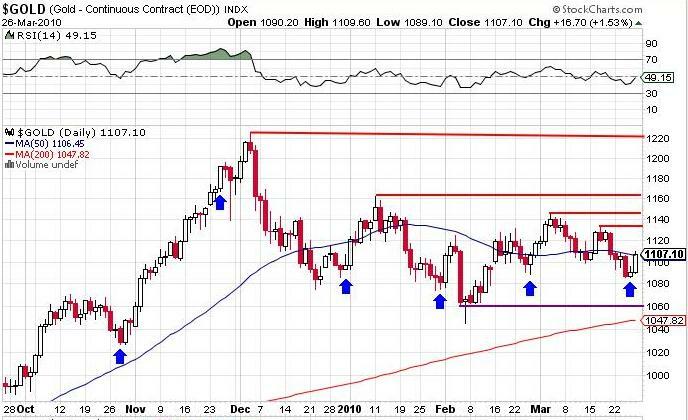 We are betting that after the options expire (4-27) that Silver will take off and blow past $18.00…Watch what happens, for we (the metals traders) have been seeing this event occur for years now. We are still waiting for HSBC to give us our mini bar purchases and now we have another brokerage in the mix that is getting the run around with the same warehouse. The only difference (in his discussion) is that this broker is going thru the costs of shipping which we’ve had in place since last year without he insurance of guaranteed delivery. Regardless, there is a real problem inside this HSBC when it comes to truth. We’ve heard all the stories over the past year, but stories aren’t physical! They’re meaningless antidotes for why we still don’t have the product the commodities market claim they can deliver. Interesting. It would appear that prior to options expiration on April 27, the price of silver (and presumably gold) will continue to be manipulated downward, or at least held steady, but after expiration the guys doing the manipulation will want to cover their shorts, sending the price higher. Since they have not had much success holding the price down this month, it’s quite possible that the lid will come of the price in the next week or so. Interesting. 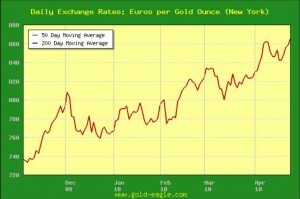 I’m no technical analyst, but doesn’t this chart look to you like gold has made a new high in Euros? Yup, me too. 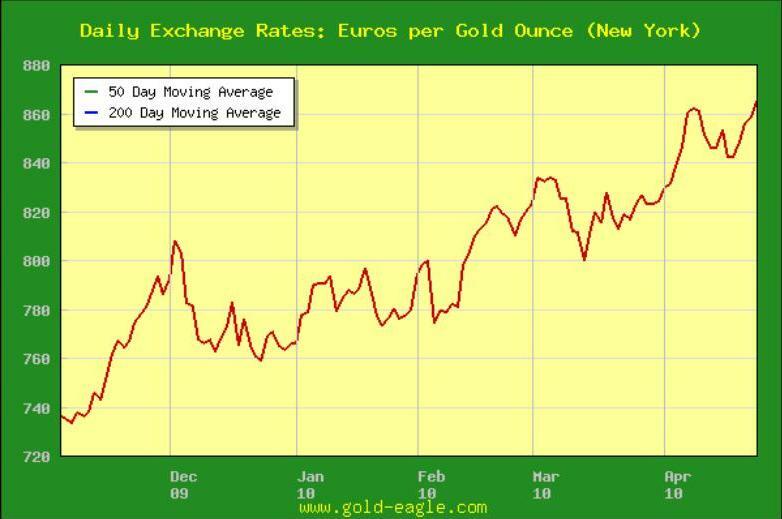 The Big Boys have done a decent job of suppressing gold in U.S. dollars, but in other currencies we are already at a new high. Are we? I have no idea. But I’m not planning to sell anything this week, and I’m not planning to lock in profits with covered writing. I’ll let it run. I may even do same gambling and actually buy some call options. My bet is on gold being much higher over the next few weeks and months, not lower.